Offering comprehensive family law services to people in Orland Park as well as Cook and DuPage counties, our team at Anderson and Associates, P.C., brings decades of experience to our practice. We handle issues such as divorce, adoption, guardianship, child custody, child support and property division. The attorneys at our law firm also provide representation in estate planning and bankruptcy matters. Each case we take on has a unique path to resolution. We understand that clients who come to our law firm have individual needs. Keeping that in mind, we have highly skilled mediators and collaborative law attorneys on staff who help people find efficient solutions without having to go to litigation. This empowers clients to make legally binding decisions without leaving those important matters in the hands of a judge. Of course, the team at our law firm is prepared to move to litigation in cases in which it is necessary to protect a client’s rights. Through working closely with our clients, we form trusting relationships and determine the best way to accomplish their goals. No matter which course a case travels, we remain committed to keeping clients informed and confident about the progress that is taking place. To accommodate our clients at Anderson and Associates, P.C., our law firm offers free initial consultations and accepts credit cards. 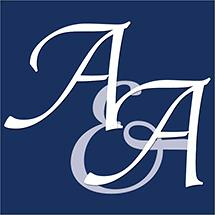 Anderson and Associates, P.C., is a debt relief agency. Its attorneys help people seek bankruptcy protection under the U.S. Bankruptcy Code.